We are going to have our Mite year end pizza party Thursday March 26th. 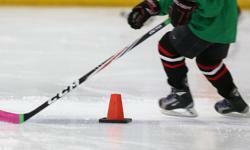 The kids from both groups will be on the ice from 4:30 to 6:00 for some fun games, then we will go upstairs for pizza. It would be appreciated if you could respond to [email protected] so we know how much pizza to order. Starting this Saturday our young Mites will be playing a game to display all they have learned this year. We will continue to use our Mite Red and Mite White ice times as scheduled and will use the teams that were divided for pictures. We will do this again on Thursday Dec. 18th as well. After Christmas we will have some games where the Leafs, Habs, Jets and Sens will all play each other. Once the schedule is set for these it will be posted under each team’s own tabs. If you have any questions about the games or how the season is progressing, please feel free to contact a coach. See you all at the rink. This is a reminder that tournament fees are due this weekend. I will be at the arena tomorrow, so I can collect then. Each player will need to pay $60.00, this will cover the cost of both tournaments.